Fully Serviced, Inspected, Detailed and ready for delivery! 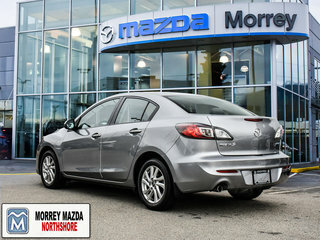 Really well priced Mazda3 with low km's on sale! Super clean! 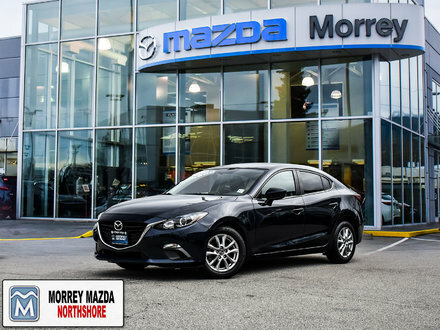 For a more detailed vehicle history, inspection reports, ICBC declarations, or a detailed list of options for this vehicle, please contact one of our no pressure sales consultants! They can send you an e-mail with all the information and invite you in for a no pressure look and a test drive around the North Shore Hills and highways. All our vehicles are competitively priced to offer you a great value for the vehicle you have chosen. We have Bank respresentatives on site to offer great and affordable finance plans. Read on for details! 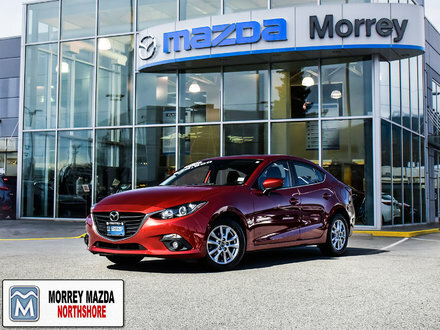 Morrey Mazda located at the North Shore Automall at the foot of Fell Ave.
Feel Free to book a test drive online and we will have this vehicle ready for you when you arrive. Vehicle options are auto populated, and we try to ensure accuracy. However, errors may occur, and the price reflects the model, year, mileage, and history only. 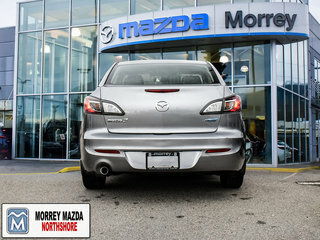 Morrey Mazda is not responsible for incorrect autopopulation from our website provider.. Please check out the vehicle for the options before delivery. Check with your sales consultant about the list of options. We can not, however, install options due to website errors. All pre owned vehicles have a $495 administration fee that will be added to the price. All sale prices are subject to change. Some units may be offered at lower than market prices to reflect special sale events and are a time limited. 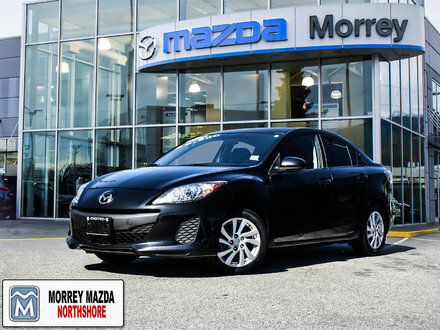 Interested by the 2013 MAZDA MAZDA3 GS-SKY 6SP LEATHER ? Fully inspected, serviced Mazda 3! Check out our finance packages. 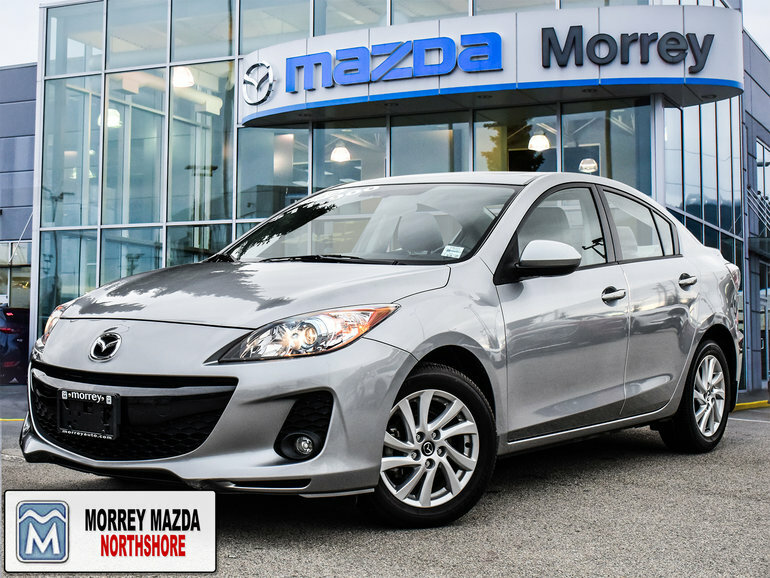 Check out this 2015 Mazda 3 GS! It's on sale! 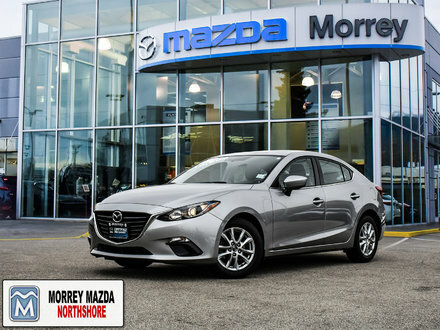 Mazda 3 with Rare manual 6 speed for the ultimate in driving experience! Certified!